How to video chat on Ome TV? Turn on your webcam, smile and see what stranger you can meet today. Options are endless - date, flirt, find your soulmate. Don’t let the adventure end tonight! 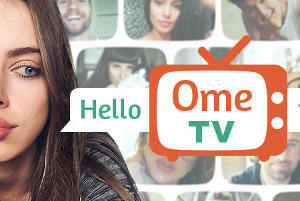 Do you want to know how to video chat with people on Ome TV? It’s easy, and here is a guide to show you what to do. Talking on video chat is just like talking in real life, but with some differences. The most important difference is safety. You need to always remember to keep your personal information private from strangers. Also, if you feel uncomfortable you can just disconnect! Much easier than needing to make up some excuse in real life. When you first connect it’s good to start with a hi or hello, and introduce yourself and where you’re from. Then you can ask about hobbies and interests, and go from there. Maybe you two are fans of the same football team, or both listen to the same music, or like the same movies. You can talk with all types of people all around the world, and become friends and learn about new things. It’s good to be polite and respectful when you first connect, and you can ask some questions like “what country are you from” or “what is your favorite food”. Also remember on video chat you can be seen, so make sure you look nice, like you would if you go out! That way strangers will be more likely to want to talk with you, just like in real life. You can talk about all sorts of topics, about culture, music, cinema, and other hobbies. Often women are a little shy on video chat, since a lot of strangers can be rude to them, so if you match up with a woman be sure to be respectful and make her feel comfortable. You don’t want to be seen as rude! On a video chat you can do more than just face to face chat too. You can show games you’re playing, or cook something, or even just dance and have fun. There are many possibilities. Maybe you’ll meet some people you really like, and if so you can play games with each other or other activities. Remember, since it is all over the world the times might not be the same, though. It might be harder to connect to someone when it is 4:00 in their country! Video chatting with strangers might be stressful, since this is almost like talking face-to-face - and you’ve never seen or talked to that person before. But it gives you so many opportunities to make new friends from all over the world. It can help you overcome your shyness and anxiety, and you don’t need to be afraid that the person you’re talking to will make fun of you - you can always end the conversation and they don’t even know who you are. Remember that if the person is starting to appear dangerous, makes weird or dangerous comments, and generally makes you uncomfortable, you should end the chat - your safety is more important. After all, the whole thing is supposed to be fun and relaxing for you.